Drash on Parashat Shoftim 5778: Is There Justice in Your World? 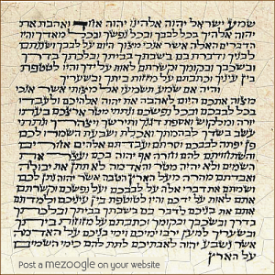 Let’s see how our Torah portion provides insight on how to achieve greater self-understanding. “Justice, justice you shall pursue” (16:20). The very repetition of the word “justice” unlocks opportunities for us to expand the application of justice in our time and in our lives. Each time Moses cries “Justice,” the word is directed at the heart of each of us, enjoining us to act as moral beings. It tugs at our consciousness and our kishkes, our “guts,” to look seriously at the causes that cry out for us to take a stand for what is right and just, certainly; but it is also a call for us to look at our own behavior. This is an opportunity to watch over your ways and overcome bad habits and bad traits. From Proverbs we learn, “Consider the path of your feet and all of your paths will be established” (4:26), and “Let us seek out our ways and examine them, and we will return, return to God” (Lamentations 3:40). How do you define acting “justly” at home? Does your partner agree that you are acting justly? Your children? Review your actions, attitudes, and behaviors in the community and at work to determine if you acted in a just manner all the time. If not, why not? What do you need to do differently? Do you have traits which others would label “Negative”? How does it affect them? How does it affect you?